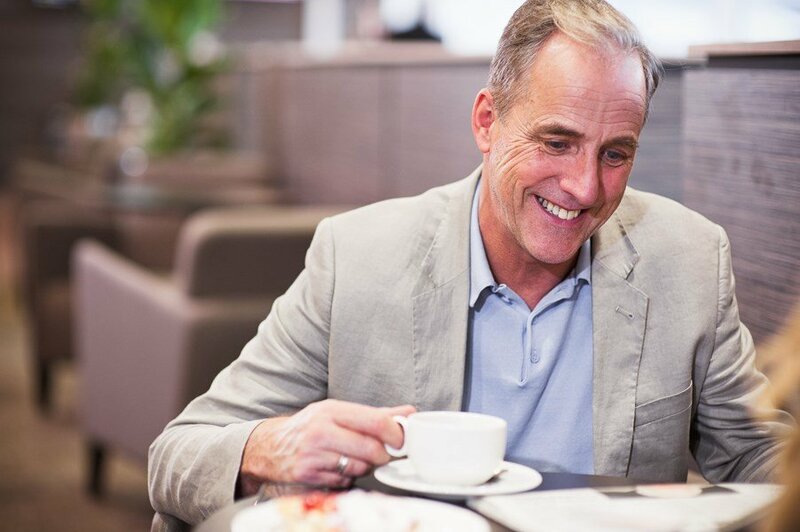 Guests that are 65+ are invited to enjoy up to 10% off our Adult Rate when pre-booking any of our participating Aspire or Swissport lounges. We want to offer seasoned travellers the opportunity to enhance their travelling experience, and provide home comforts in a a relaxing and comfortable environment, well away from the hustle and bustle of the airport. When pre-booking your lounge stay with us, as well as the Senior Rate, we provide you with all the pre-booking benefits such as Guaranteed Delay Cover, a Guaranted Seat and complimentary Food and Drinks. How do I get the Senior Rate? If you are 65 or over, simply select the lounge you want to visit from the links below, and enter your flight date and flight time. You will then be presented with the price rates, where you should select Senior.